Take all Computer Graphics courses and T-Shirt Screen Printing at once. This course is LIVE right now. You can easily look at some of the FREE content by simply registering for the Free Trial (no money needed). If you would rather not register but you still want to see sample lessons CLICK HERE to see FREE samples on our YouTube channel. Don't miss out on the limited time price of only $95 (reg. $145). Whether you are a new startup business or an experienced printer - this course has something for you. The course takes you step-by-step through how the process works and how to start and run a successful and profitable T-Shirt Printing company. If you are already printing - there are hundreds of gems and tips that will make you a much better and much more profitable company. Over 45 videos! Are you starting a T-Shirt printing business? Have you been struggling with quality? Is printing detailed multi-color prints a mystery? Do you have problems burning and printing halftone dots? Are you needing good business advice? Are you on a real budget and would like to build some of the equipment? Is marketing and selling your weakness? Does online selling and social media marketing baffle you? Are you curious about direct-to-garment? Do you want to print with Puff, Foil, and Waterbased ink? Do you just want to do things the right way? Are you not making money? Are you an owner who wants to know the process? If you answer YES to just a few of the above qustions then this course is what you need. 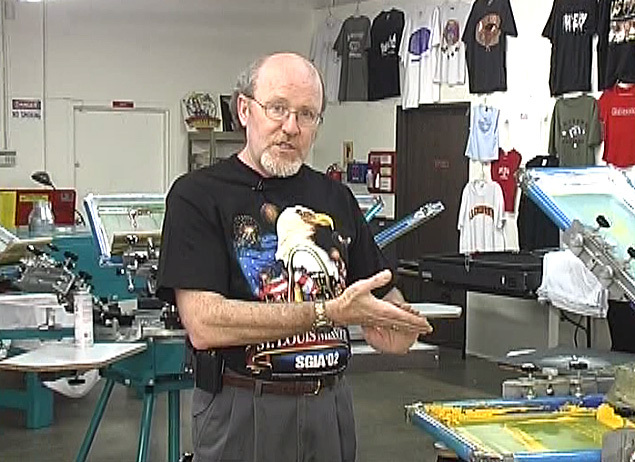 Finally, there is a comprehensive online training course that teaches you everything you ever wanted to know about T-Shirt printing - from A - Z. And, a course that is taught by people you know and have heard of. The Fresener family has been teaching T-Shirt Screen Printing since 1979 and has had well over 16,000 students at their schools and workshops. This course is mainly focused on screen printing T-Shirts but there are great sections on heat applied graphics and direct-to-garment printing as well. About the only thing you won't learn about is embroidery - although the business and marketing sections certainly apply. In fact just those two sessions are probably worth the cost of the course. With a well organized, detailed online course you no longer have to wade through hours of YouTube videos looking for a specific topic and wondering if the information is correct. This course has it all. From "this is a screen" to how to print multi-color images on light and dark shirts - you will learn ever aspect of the business and the industry - from people who know. Even if you already screen print T-Shirts - there is something here for you. If you are just starting a business the beauty of this course is it will show you how to build a LOT of your equipment. There are plans for a simple DIY 1-color and 4-color printing press, exposure unit, tools and more. And, there are sections that show you all about professional grade manual and automatic presses and what to look for when buying new or used equipment. 1,000's of todays largest printers started out in their garages with homemade equipment! Check out the detailed curriculum. Signup for FREE and gain access to a few select lessons to see what you think. 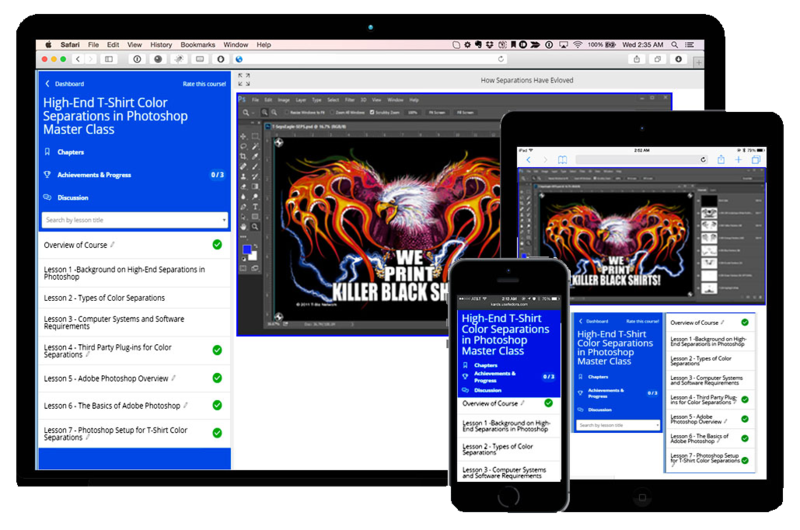 This course includes over 47 indepth videos (12 hours! ), 14 detailed Mini-Manuals (over 240 pages!) for quick reference that you can download to your computer, dozens of sample download files and production aids, and more. It is like having Scott and Mike in your shop teaching you everything they know. 30 Day Moneyback Guarantee - no questions asked. NEW - Use the course for Two Years! Refer back to the course and review for up to TWO YEARS. You get to keep the downloaded Mini-Manuals and other training aids. The videos are available for two years from the date you register. Take the course or lessons wherever you are. It even works on a Smart Phone! If you want to hit the ground running for your new business or simply become a better printer and learn hundreds of tips and tricks and new techniques - this class is for you. It is taught in an easy-to-follow step-by-step manner that makes it convenient to work at your own pace. You can finish the course in a long weekend or take weeks or months to work through it and review over and over. 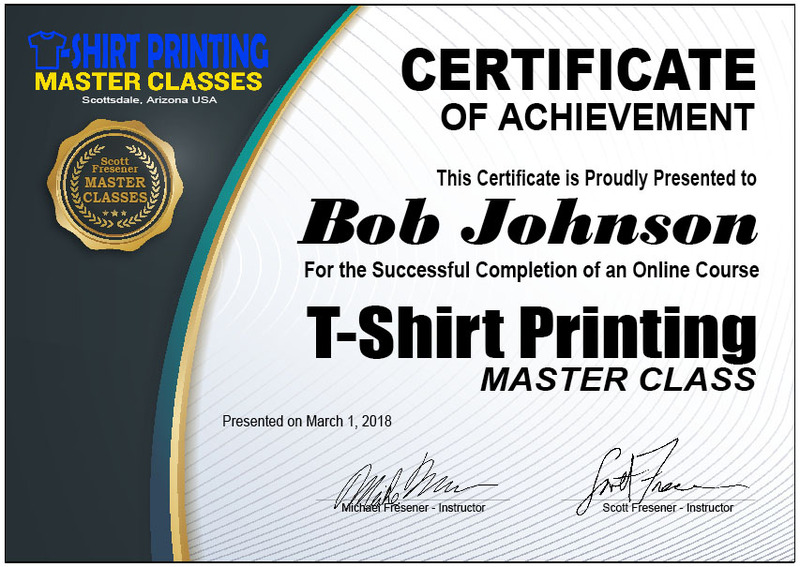 When you finish the course you will get a Certificate of Completion that confirms your accomplisment and tells the world you are a Certified T-Shirt Screen Printer. 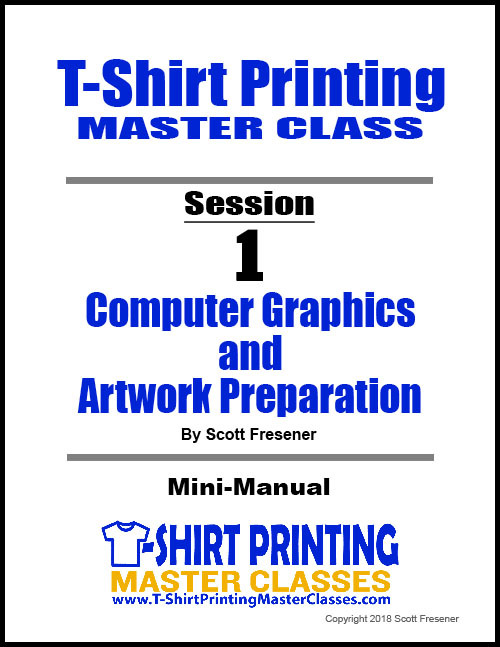 Scott Fresener has been in the industry since 1970 and is the co-author of the book How To Print T-shirts For Fun And Profit along with dozens of video and DVD training programs. He is considered one of the top experts and authorities on every phase of the garment printing process. Scott created automated separation programs called T-Seps and FastFilms, along withT-RIP for inkjet film output, and is considered a pioneer in the direct-to-garment printing segment. Scott also creates high-end color separations for large and small customers around the world. Scott is the Director of T-Biz Network International and is a popular speaker at trade shows, has contributed hundreds of articles to leading trade magazines, and has served as a consultant to small and large shops worldwide. For his numerous achievements he received the industry's highest honor - SGIA’s Parmele Award, which recognizes lifetime contribution to the industry. Scott is also past Chairman of the Academy of Screen & Digital Printing Technologies and was on the Board of Directors of SGIA. He also runs the popular website www.T-BizNetwork.com. Mike Fresener was literally born into the industry. He grew up with a print shop in the garage and was doing color separations in the darkroom (camera!) regularly before he was 8. As the family business evolved into selling print supplies he did the dirty work behind the scenes (taking out the trash and shipping product). He began helping teach parts of the screen print classes which evolved over the years into teaching the majority of them. He's spoken at many trade shows and written articles for various industry trade magazines. He is an excellent well rounded screen printer and is featured on a number of "how-to" videos on all phases of the process. Mike is versed in both manual and automatic screen print equipment, dryers and heat presses. He was heavily involved in the manufacture of screen printing equipment and DTG machines over the years as vice-president of U.S. Screen Print and Inkjet Technology. Mike has also done onsite consulting and a lot of tech support. He understands many other types of imaging such as Large Format, Sublimation, Embroidery and CAD Signmaking. He also currently owns a small T-Shirt printing shop in Bowling Green, Kentucky where he does monthly training classes at www.PrintersBootCamp.com. Mike was instrumental in leading the DTG market towards reality and even coined the term "DTG". Mike also owns a screen print supply company in Kentucky called Independent Print Supplies. Questions? Contact Scott Fresener at scott@tbiznetwork.com. Wow! A ton of information in this EXCELLENT & INFORMATIVE MASTER CLASS. The "Marketing & Selling" video from “Archives” was full of great tips for getting your business out to potential clients. 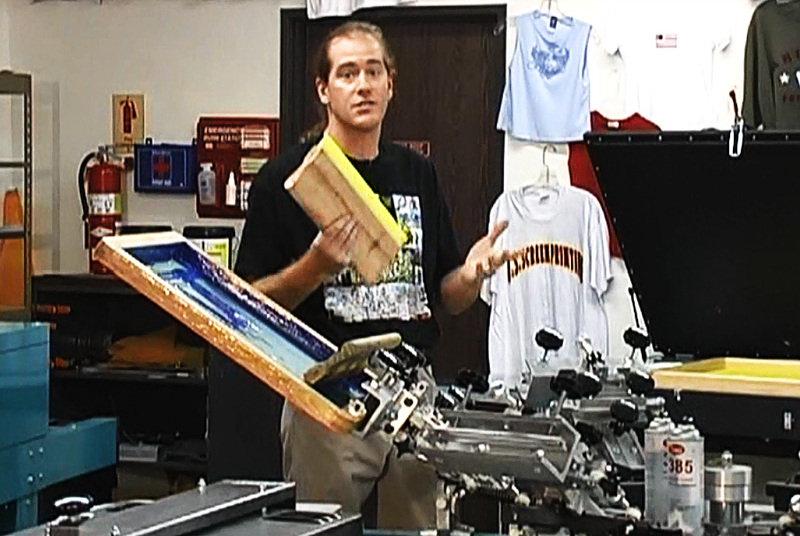 A fantastic resource in laying a foundation for screen printing from a seasoned professional. So much to take-in, yet I feel much more confident in thinking about attending an ISS Show, or taking another one of the courses. It was a great asset to be able to print out all the pdf files and assemble in a binder for future reference. Undoubtedly, I will return to them as a resource time and time again! My favorite sections were the marketing, selling and pricing videos, which were extremely informative with both approach and resources for the industry. I would definitely sign up for another course, and upon deciding to pursue this as a business... I would attend the bootcamp in Bowling Green, Kentucky for hands-on training. Both Scott and Mike were open with solid suggestions for running your own screen printing shop, and where to locate product and trade events to bring one up to speed. EXCELLENT JOB. Thank you! Thanks Scott for your T-Shirt Printing Master Class. I have learned a lot and look forward to reviewing the course over the next year. Dominic Fomiatti.